Ulla Popken (Улла Попкен). Франшиза магазина женской одежды больших размеров. Sportswear (купальные костюмы, одежда для спорта); Johann Popken (одежды большого размера для мужчин). Ulla Popken производит женскую одежду российских размеров 48-66, мужскую одежду – 58-70. • Паушальный (вступительный) взнос: от 200 тыс. руб. - JP 1880: 8 - 120 кв.м торговая площадь. 30 кв.м складское помещение. Города от 15 000 чел. 1А расположение. Не менее 6 м витрины на 1-ом этаже. европейские бренды. Количество персонала на предприятии: 7 чел. - Johann Popken для мужчин (стильная немецкая одежда больших размеров для мужчин. Размеры от 56 по 68). оснащение рекламными и визуальными материалами. 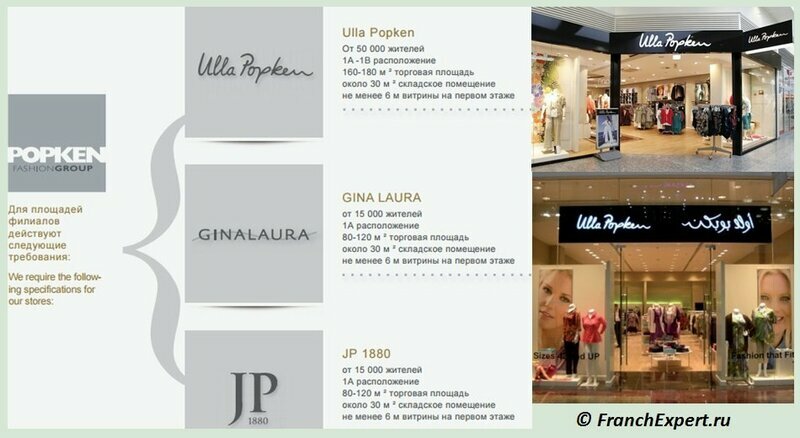 The Popken Fashion Group affiliates fashion companies, Ulla Popken GmbH and GINA LAURA GmbH & Co. KG, with their own brands, Ulla Popken, GINA LAURA and JP 1880. As a multi channel company, they market the fashion range all over the world in over 30 countries and in more than 700 retail stores, through mail order and internet sales as well as through selected B2B partners. Altogether the group employs more than 4 000 employees. They are the company‘s foundations and its future. All of the Popken Fashion Group employees display immense dedication, personal initiative, and a goal-oriented motivation twinned with a passion for fashion, along with a desire for success and sense of community: they really are like ‚groupies‘! Success with Tradition. The Popken Fashion Group has existed since 2012. 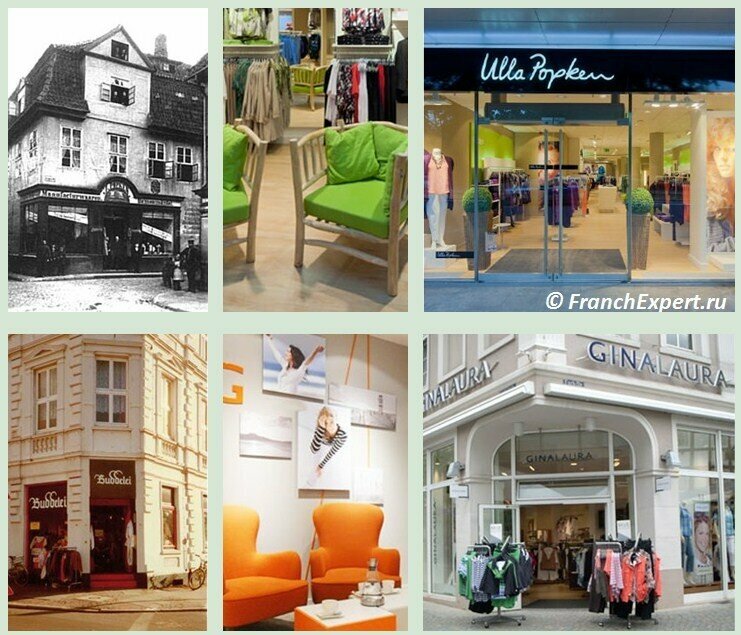 However, the history of both companies -Ulla Popken GmbH and GINA LAURA GmbH & Co. KG, reaches far back into the past and is founded on strong family ties and grand visions. A success story with tradition that is still being written today and which provides the best foundations for continued success in the future. - 2012 Take-over of GINA LAURA GmbH & Co. KG. Turnkey business solution for those who have some free money, but do not know where to invest. Exclusive clothing, a huge assortment list (from underwear to outerwear for plump women), the regularity of collections (12 times per year) help the brand "Ulla Popken" hold in the competitive environment and have a good income and grateful clients.